California will soon be ending possibly one of its largest crops ever of table grapes. “Volume was up this year maybe five percent over last year and it will be in line with the biggest crop we’ve ever had,” says Jim Beagle of Shafter, Ca.-based Grapery. Beagle adds that the quality of the grapes was also strong this season. While favorable weather conditions helped with this season’s growing, other factors possibly contributed to this season’s abundance of product. “There has been a proliferation of new grape varieties and growing systems—irritations, trellises, etc. California growers have a lot of innovative things going on to improve the overall quality of the crop,” says Beagle. As the season winds down, supplies will switch to imports from Peru first and then Chile. 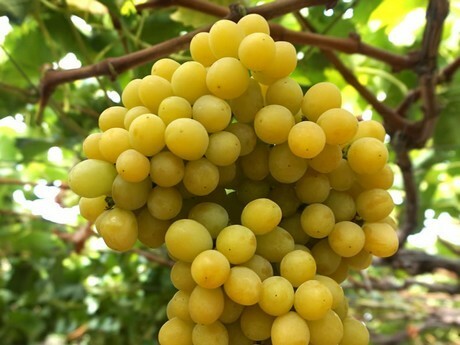 While supply of grapes was strong, demand was too. “We moved a bigger crop and shoppers were happy with the grapes they got and came back for more. There were more promotions for grapes,” says Beagle.